The B33 sitting in the lay-by on the A515 at King's Bromley. Not much happening this week - I did go out and buy a couple of gas cylinders, and that was about as good as it got. 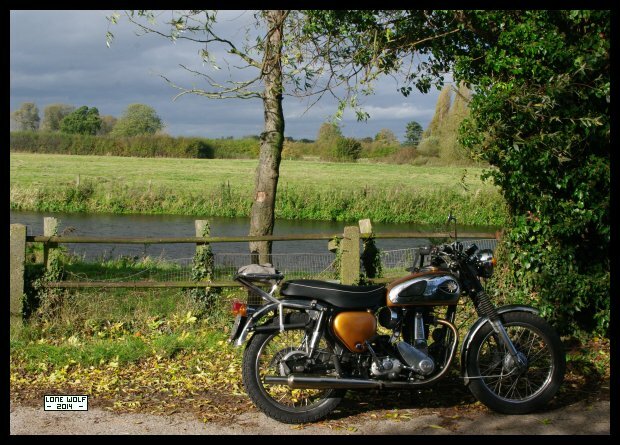 Friday and the B33 went down the cafe for dinner, then back home via Ironbridge - it all looked like THIS. Sunday and it was still dry and warm, although a little windy. Once again the B33 ventured out. This time to the Autumn Steam Party at Klondyke Mill - which looked like THIS. The slideshow looked like THIS.